29NOV2016 Annette Riddle Versailles, KY USA 06:50/EASTERN,AM 1-2 N-S near horizon, facing NE Green Streak Brighter than Venus No Was very low to horizon, viewed out car window while driving East on Bluegrass Parkway. Event related to Denmark Fireball Meteor Event 18:25 Local 28NOV2016 ? November 2016 NEO Count has gone Mad! 46 with LD of 10 or Less! The Chelyabinsk meteor, as it became known, sent 1,500 people to the hospital and did millions of dollars in damage to buildings in several cities. AN ENORMOUS 300-mile wide asteroid could bring about the next mass extinction event – if it strikes Earth in 2036. When is the Geminids Meteor Shower 2016, how to watch it and when does it peak? Event related to Denmark Fireball Meteor Event 18:25 Local UTC+1 28NOV2016 ? Likely NOT same event given distance and speed but, MAY be related events. Frozen beneath cracked, pitted plains on Mars lies about as much water as is in Lake Superior, researchers using NASA's Mars Reconnaissance Orbiter have determined. There are currently 9, 23, 24, 45, 46 known NEO Asteroids discovered that will pass within approximately 10LD or less (LD stands for "Lunar Distance"), in the month of November 2016. I expect that 10-35 or more 10LD NEOs will be discovered before month end. Expect some spectacular bolides, fireballs, and meteors this month and especially large ones 3-5 days before and following the passing of the less than 10LD NEOs and 14 small mountain-sized NEO asteroids, diameters ranging from 400m-4.8km, that will safely pass this month. 20-30 Second Duration with Sonics Reported. 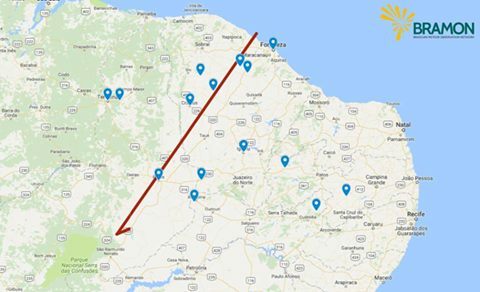 On the night of that last Saturday (26) a big meteor tore up the skies of Ceará and Piauí. It could be seen, in addition to these two states, by Maranhão, Pernambuco, Paraíba, Rio Grande do Norte and Bahia. 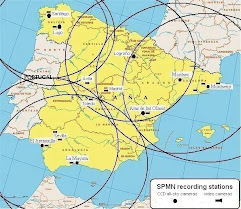 Unfortunately, none of the cameras monitoring of BRAMON recorded the event, but we managed to collect around 40 reports in several cities close to what has happened and from these reports, we set up a trajectory estimated for the object, which can be seen in this map. The object began to shine on the ocean, next to the city of Fortaleza, and crossed the Ceará from north to south, passing near Crateús, where we received several reports. Entered the state of Piaui and went about the city of peaks. Until this moment, is very low the possibility that this is a re-entry of space junk, but still have not ruled out the possibility. 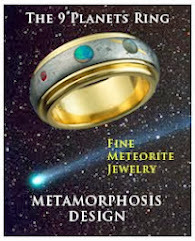 The more likely it is that in the case of a meteor buzz, also called earthgrazer. Meteors that kind are not enough to fall on earth. They scrape the higher layers of the atmosphere and return to the area. One of the most striking features for this kind of meteor is that he's apparently slower than the meteors more common, but the truth is, he's as fast as you. Just seem slower because occurs at very high altitudes and huge distances before returning to the area. Important to reinforce that this map is still preliminary, but it fits perfectly with the majority of the statements. In addition, the margin of error is still too big, since they were made only from reports of visual observers. We use to say thank you to all who are collaborating with their valuable reports and information about it. MAYBE! There have been previous faked/hoax events in Indonesia. 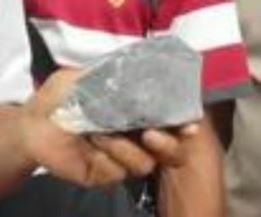 The story has not yet been confirmed but the rock shown does look like it may be a fragment of a stone (likely a chondrite) meteorite that was broken after striking a house roof. This is reported to have been a 10kg meteorite that struck and penetrated a corrugated zinc-coated steel roof during the night of the 23/24 November. 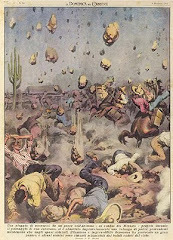 It was also reported that the rock smelled like sulphur. Photo of meteorite? fragment that struck house. A 760 pound meteorite, a chondrite, has been found near Clareton, Texas reports Ruben Garcia, a meteorite hunter from Arizona. The meteorite has been named Clareton (c) as it is the third meteorite found in the area. Clareton (c), Texas Chondrite Meteorite pictured with the finders, DeeDee and Frank Hommel.